The cardboard model of All Saints Church by the water splash, which has weathered the rain and wind, is to draw attention to the fact that the Church roof needs repairing at a cost of approximately £50,000. Any donations gratefully received. After a hot summer, it was surprising to see such a good display of blooms, arrangements, vegetables, photos etc. The results can be found above in the Flower Show – Score Tables. Well done to all who entered and the organisers. I’d like to express my heartfelt thanks to all of those from Tarrants Monkton and Launceston (and beyond) who assisted with the Tarrant Valley 10 last Sunday. The event cannot run smoothly without the enormous number of villagers who help prepare the event and/or give up their peaceful Sunday morning as the village puts on its running shoes on behalf of the TV10’s good causes. In blistering heat and unbroken sunshine, 166 runners completed the main race and 28 children (plus a few parents!) the 1 mile race. 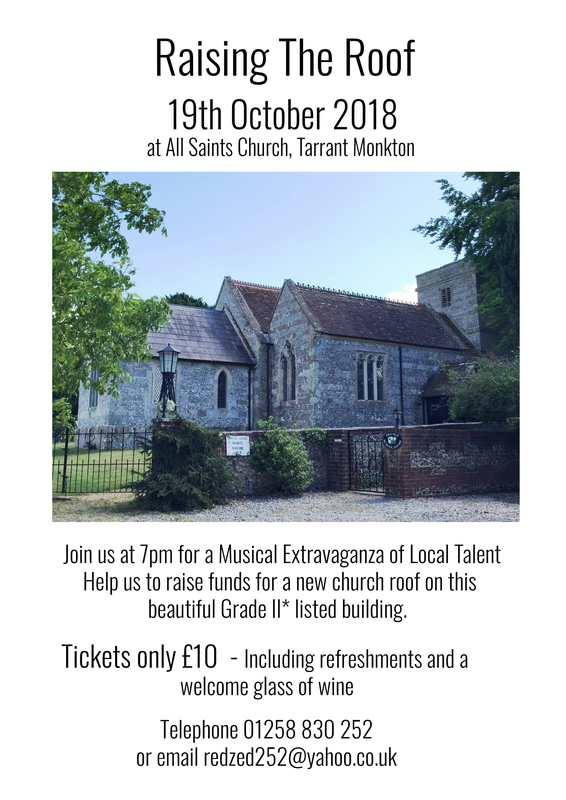 I am proud to announce that, provisionally, the event has made a profit of £2,800 which will be divided equally between our 3 good causes; The Louis Ross Foundation, Bus Shelter Dorset and All Saints Church Tarrant Monkton. Another fantastic result! P.S. Read the 2018 race report and see some of the photos on www.tarrantvalley10.webs.com. The Birth of John the Baptist Prayers and Hymns for all, led by Carol Neilson. 10.30am in our church. It is a half hour service with refreshments and you will be made very welcome. Although the day started with clouds and light rain, we were blessed with dry warm-ish weather for the Wheelbarrow Race and the Cricket Match and BBQ. Tarrant Monkton won the Cricket Match – photos and scores to follow soon on Archive/Festivals tab above. Thank you all for your help. It was great teamwork. It seemed to go well and the Gods were with us -just- as the weather did not spoil all the fun. Thank you again for the delicious cakes, sandwiches, salads , meat and puddings that you provided. Thank you for those of you who helped erect and take down the marquee and in the general clear up. Very many thanks to all those who were involved with the Duck Race, whether you were a helper or a racer. It was lovely to see so many people there. Altogether, we made £441.20.